The Chihuahua packs a punch of personality in a miniature package. 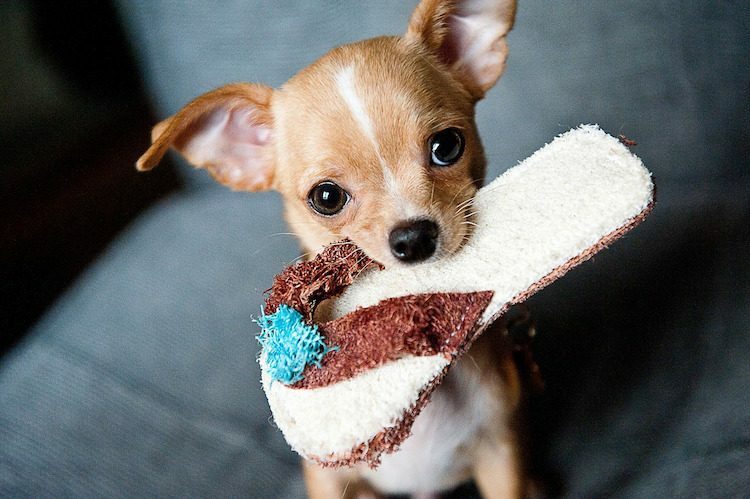 Chihuahuas are small dogs who generally remain under 6 pounds. Coats may be short (smooth) or long and vary in 9 standard colors, such as black, tan and red, and many alternate colors of gold, silver, white and more. The Chihuahua has deep roots in Mexican history going back centuries before being recognized by the American Kennel Club in 1904. Historical artifacts show a similar dog dating back to the 9th century, and there is also speculation that the dog was bred with a dog from China and is similar in features to a small fox. Christopher Columbus wrote about this breed in a letter to the king of Spain in the 1500s, and the dog was claimed to have been seen and bred in various parts of the world. The Chihuahua’s Mexican origin is the most widely accepted, and it was brought into America in the mid-19th century. The Chihuahua Club of America describes the dog as alert, confident and self-reliant. They are also highly intelligent and work well with families that are patient and attentive. They can be trained and require firm yet positive reinforcement to build their confidence. They prefer to be with other Chihuahuas, but they do get along with other breeds and animals. 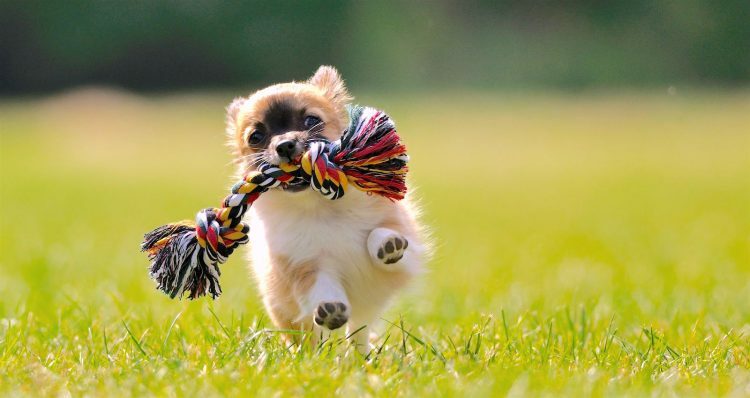 Chihuahuas can be quite playful and enjoy interaction over being left home alone for long periods of time. LOW: Chihuahuas require little exercise. They are great dogs for small living quarters or large cities, but they are vulnerable in colder temperatures. Make sure they are kept warm, and never leave small dogs unattended; they are easily lost and even a single bite from a larger dog can kill a Chihuahua. Children can unintentionally drop or harm small animals, so supervise children around your Chihuahua. Never leave a toy dog like this on a raised or high surface; the pet can be easily injured jumping down from high places. Additionally, don’t let your dog sleep in the bed with you. You risk rolling over and causing serious injury or death. MEDIUM: Regular brushing, bathing when needed and keeping the nails trimmed are essential tasks. Untrimmed nails and dewclaws can cause pain, injury, splayed legs and uncomfortable walking. When bathing, ensure no water gets into your dog’s nose or mouth — the inhalation of water can lead to respiratory problems. Good dental health is also important, so be sure to brush your dog’s teeth regularly. Syringomyelia, which occurs when fluid builds in the spinal cord and can be deadly. Signs include scratching in the air by the neck and a lack of balance and/or loss of mobility. Canine brucellosis is an infectious disease that can spread through breeding and also affect humans. A blood test can determine if your pet is infected. Some health departments require infected dogs to be euthanized because of the threat to humans. Epilepsy is a common problem and may be genetic or brought on by other factors, such as hormonal imbalances, injury, fatigue and other stressors. Luxating patella describes an ailment where the kneecap slips out of place. There are different degrees of the ailment that your veterinarian can assess to determine if your pet needs surgery to correct it. A Chihuahua could be waiting for a home in a shelter or rescue, so check adoption resources first if you are interested in this breed. If purchasing a dog, be sure to avoid any seller, broker or store who exhibits signs of operating a puppy mill or will not disclose the dog’s origin, parents or medical history.